Christmas is already gone but never is too late to give greatins and cheers to all of you a lovely happy new year. I want to share with you this lovely video created by my friend Andrea wich all my friends and myself wish you the best in a funny way! Hope you'll like it! 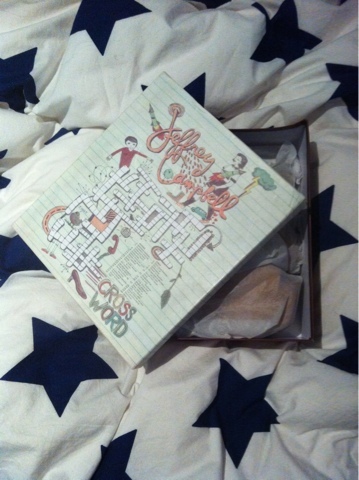 It's been long time since I told you that for my 23st birthday I received a gift from aurevoircinderella, a shoe website from Jeffrey Campbell from Spain. I wore it on a summer night in Rome with my friends, after a nice afternoon with my friend Enrico I met the other guys for a dinner and a glass of wine. It was the perfect moment to put it them with a comfy ready-to-wear outfit. If you want to see more of them you can have a look on their website: www.aurevoircinderella.com. They have a lot of lovely shoes!! I can wait to buy another pair! Soon i'll be back with more, so busy right now!! I'm so out these days because i've been moved in a new house so no internet, no posts! So if you want to know more about the news have to be patient. Just a little preview about what is coming.. do you know what Au Revoir Cinderella is?? Check the website ( http://www.aurevoircinderella.com/ ) and have a look at all those pretty shoes! I recieved a gift from them and i want to share it with you. Do you wanna see what is and to know more about it? So stay tuned,and i'll be back soon with all stuff and more!! lovely jewerelly from the Prada resort collection 2012. splash of colors and brightness! When the curtain went down at Louis Vuitton and the white carousel and all its models were revealed, the audience gasped, surprised. With Marc every fashion show is a big show and he knows how to do it. If the last season was "fetish", this time Marc did the opposite. "After the hardness of Fall, we wanted something gentle and kind, fragile but strong, too" he said touting the workmanship not only on dresses but also in the bags. A sweet collection empty with everything candy-coloured and much of it adorned with big lacy collars or oversize white buttons. The models like little princess in a candy land, rise on that white horses turning around, glided with broderie anglase dresses that came veiled in pastel shades of organza; laser cuts lace tops and skirts were in silk cellophane like if they were baby doll's presents. Maybe the fact that he is going to design for Dior next time? Yes, maybe it is. Meanwhile, enjoy with this video by Tyrone Lebon about the fantastic candy land of Louis Vuitton Spring Summer 2012. Sophomore ready-to-wear concept film shorts from Video Fashion Week. "Ser joven consiste en eso: en creer secretamente que serás la única persona del mundo que vivirá para siempre"
ALL THE PHOTOS TAKEN BY LEROCK&LAMODE ARE PROTECTED BY COPYRIGHT, PICTURES CAN ONLY BE USED WITH PRIOR CONSENT OF LEROCK&LAMODE AND THEY HAVE TO BE LINKED BACK TO THIS BLOG. © All Rights Reserved,. Tema Sencillo. Con la tecnología de Blogger.